Artificial intelligence is paradoxically both humanity’s greatest opportunity for advancement and its greatest threat. On the one hand, AI could be used to augment our own abilities and to solve global problems like poverty and disease. On the other, top scientists, including the late Stephen Hawking have issued dire warnings about AI being the potential downfall of humanity. Video games have a part to play in this as well. OpenAI, a non-profit research program spearheaded by Elon Musk and Sam Altman, was founded in 2015 with the mission of advancing AI in a way that’s safe for humans. 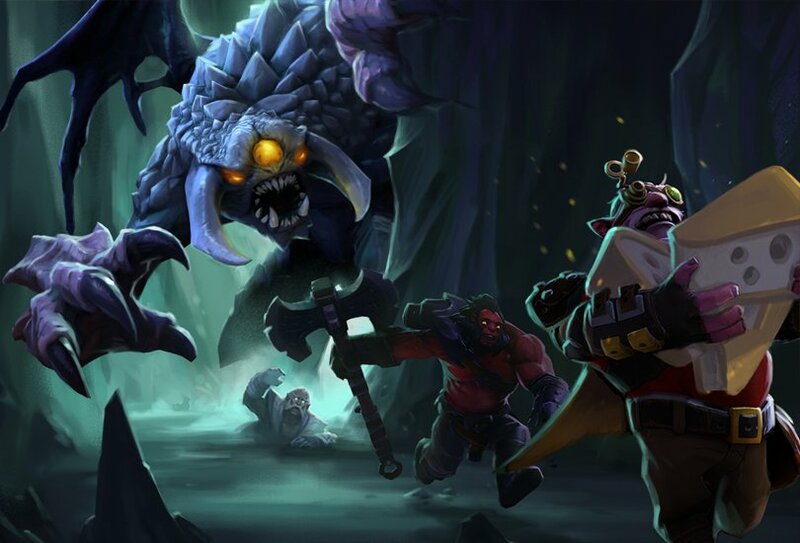 The researchers have discovered that complex video games like Valve’s Dota are actually perfect testing grounds for the AI they’ve been developing. Last month, OpenAI described in deep technical detail how its team of five neural networks (OpenAI Five) managed to defeat amateur players in Dota 2. Now the goal for OpenAI Five is to go pro and win the esports competition at The International in August. OpenAI co-founder and CTO Greg Brockman told GameDaily that this lofty goal may not be achievable by August, but that the AI systems his team has worked on have continually surprised everyone. “The one thing that I think is illustrative of [our] progress is that our goal for probably two months was to beat just a pretty good Dota player here at OpenAI in a 1-vs-1 [match],” he explained. “And every week, we would push that goal back by an additional week. And it was just like, ‘This is the week we're going to do it. We're totally going to do it.’ And we never did, until I think the end of June of last year, and then we beat our [first] semi-pro player [last] July 7th. Human beings may play a solo match very differently from something that requires intensive teamwork and planning, but Brockman noted that for an AI, the approach that the robot takes in 5-vs-5 is actually not all that different from solo match-ups. “You've got all these different heroes, all these different things. And the funny thing is that our method doesn't care,” he said. “Our method pretty much acknowledges the fact that, sure, you've got more complicated environments. Just show me the data and I'll figure out what to do. So the way that our 5-vs-5 system works is that you have five separate neural networks. Each one is observing the game state and the only thing that we do in order to develop a sense of teamwork is that we just reward them with this parameter called team spirit. But why did Brockman and the OpenAI team select Dota as a testbed to begin with? As it turns out, games in general are a great construct for testing AI’s abilities, but complex esports matches could be the ultimate trial. 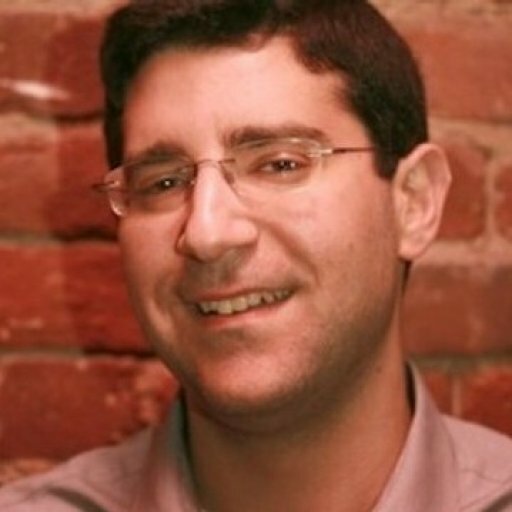 “If you look at the milestones in this field, people have always used games, with games like chess or Go. People have marching up this ladder of harder and harder games with more and more complexity. If you think about the real world, it's really just this very, very complicated game with many degrees of freedom,” Brockman explained. Most people in the field doubted OpenAI’s methods, according to Brockman. The thinking from other engineers was that new algorithms would be needed, but that hasn’t been the case. It was more of a matter of scale. OpenAI Five plays 180 years worth of games against itself every single day. “We had these very general algorithms but they have all these flaws,” Brockman said. “As a human, the way you think about your day, you don't think about every movement you're going to make as you go from appointment to appointment. If you think about your career, you don't think about every single day. You've got some sort of hierarchy in how you think about planning and some abstraction you can do. You need that. You need algorithms to capture that and [the] algorithms we have today don't do anything like it. OpenAI is not concerned with game development per se, but Brockman and his team do concede that the advancement of AI could have significant implications for gaming experiences. The more sophisticated AI becomes, the more effectively it can be utilized to offload certain game development processes -- tasks that would have typically taken months or years of human labor. Moreover, the possibilities for immersion only become greater when virtual characters can respond to players in more human-like ways. “The possibilities for storytelling, the possibility for personalized content is really opening up,” Brockman said. “The content side is something that I see happening probably actually quite fast. [AI] can [generate] faces right now. If you just show it a data set of a bunch of things that you want to be able to generate. Conversation and personalities is another big area for AIs to play around with, which could make the video games of tomorrow quite engaging. 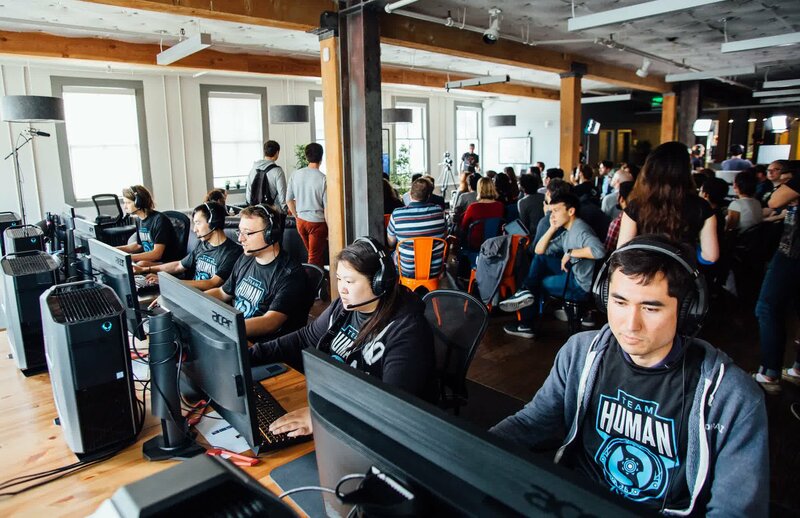 Brooke Chan, an Open AI engineer, added that one of the interesting side effects of working on AI to challenge human Dota opponents is that human players are actually learning new tricks from the bots. What OpenAI has accomplished thus far is thoroughly impressive. Microsoft co-founder Bill Gates praised the team for reaching a true AI milestone. But the underlying goal, to create what’s known as Artificial General Intelligence (AGI) -- an AI that can perform human-level intelligence tasks and pass the Turing Test -- is equal parts terrifying and exhilarating. That’s why OpenAI is trying to ensure that when AGI is achievable that it’ll align with human values and be to the benefit of everyone. Brockman testified before congress last month about this very issue. Brockman explained that with the three main pillars of AI progress (data, compute and algorithms) AGI could be achievable a lot faster than you might believe. “The dream is, of course, you just go and consume the whole internet and learn from that. [Our AI is] not quite there, but we're starting to make strides towards data just not being a problem or enough of a bottleneck,” he noted. The compute part of the equation is accelerating at an amazing pace, as well. 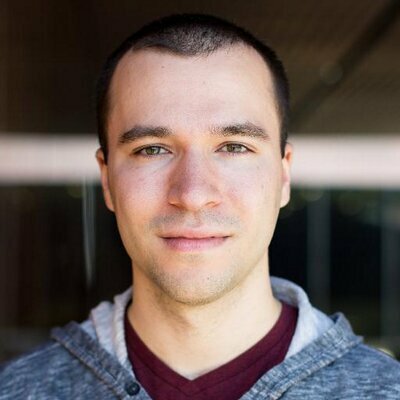 “We actually just released a study showing that for the past six years the rate of improvement in the amount of compute thrown at the largest AI training labs has been increasing with a doubling period of 3.5 months; Moore's Law by comparison is 18 months. And so over that time, we've seen a 300,000 times increase and our projections are that it's going to continue for the next five years,” Brockman said. No one knows the answer to that question, and it’s a matter of fierce debate among some scientists. But humanity must be prepared. It’s certainly in the collective consciousness right now and has permeated pop culture, with shows like HBO’s Westworld, AMC’s Humans, or of course the classic Terminator franchise. Brockman certainly doesn’t want to be responsible for creating a real-life Skynet. But there are teams of engineers across the globe working towards AGI, and they may not share OpenAI’s mission. “There are some causes for optimism, and some causes for caution. I think that it certainly keeps me up at night to think about the ways that things could go wrong,” Brockman admitted. Imagine that there's an arms race here between different countries trying to get to AGI first and if that happens there's going to be a lot of pressure to deploy at the expense of safety. Rapid change can be tough to comprehend and adjust to. What we may witness in the future could almost be compared to someone from the 1950s trying to understand the internet, Facebook, Uber, smartphones and other new tech. The problem is that some scientists may throw caution to the wind. The AGI race is on. “Imagine that there's an arms race here between different countries trying to get to AGI first and if that happens there's going to be a lot of pressure to deploy at the expense of safety,” Brockman cautioned. “I think that that's one place where we might end up being forced into cutting corners on this thing that is the most important thing, which is making sure that systems align with our values and do the thing it's supposed to do. “So we're still at pretty nascent phases of thinking about this problem, but I think that's kind of the next step for a lot of these technologies,” he said. I quipped that Brockman had just said “fun for AIs,” hinting that he’s gotten a bit too close to his work and is already anthropomorphizing his bots. But with the goal of making human-like AI, that’s a slippery slope many engineers may take. “It's interesting seeing how much our thought processes, ‘Oh, this would be a more fun game for me and oh it's also easier for the AI to learn,’ end up correlating,” Brockman added. Assuming AGI is achieved, humanity will have to confront its very existence. What is consciousness? What does it mean to be human? These are philosophical questions that our species has grappled with for centuries, but AGI will force us to rethink our nature. “I think that as time goes on, as we start to see systems like OpenAI Five and other ones that are performing these very advanced [tasks] at or above the level of the best humans in a particular domain, I think we're going to start learning a lot more about ourselves in some ways and what the world's going to look like once we get to a place where you have that sort of performance but across a huge variety of tasks,” Brockman said.